Organizing is such a good idea! You'll wonder why you didn't do it sooner. Omega makes it easy to simplify your stuff — with so many cabinet storage solutions, you'll be on your way to a clutter-free life before you know it. Get the most out of wall cabinet storage with customized details that arrive right to your fingertips, or keep you from digging through items to find what you need. 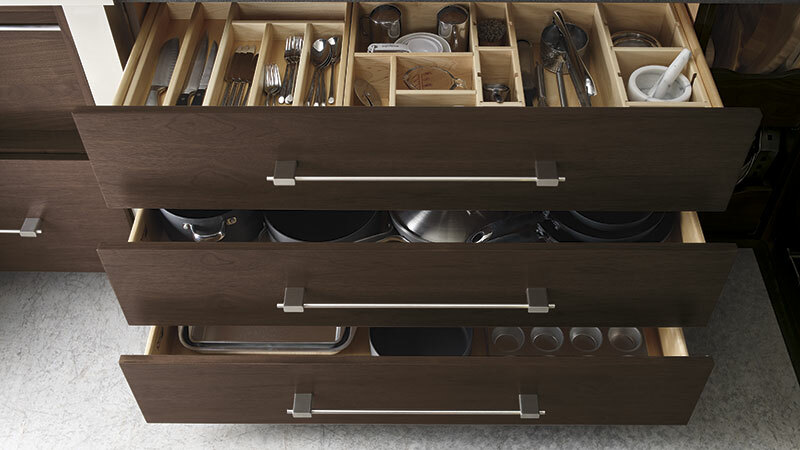 Omega makes items easy to store, simply with vast cabinet storage solutions. Who wouldn't love to tuck away often used items in a beautiful and unexpected way? Omega offers lovely cabinet storage solutions for items you haven't even thought of. Even better — we will custom tailor cabinetry to fit your needs!